Singer Jackie Chandiru bounced back on the music scene last year after several years in rehab. Since then, she has been performing at different events and the most recent was at Awilo Longomba’s concert both at Kampala Serena Hotel and in Arua. While on the way to Arua, the self-proclaimed queen of the Nile thought all was well with security since she was in her zone. 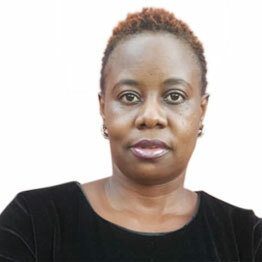 Chandiru was so comfortable that on arrival at the hotel where the team from Kampala was supposed to sleep, she left her property in confident abandon – if that is a thing. Well, what the Agassi singer forgot is that the concert had brought with it all kinds of people, and one of them was the one that would later end up with her handbag. From the singer’s report, her bag had money, a passport and other valuables. Lucky for her, the bag was dropped at the hotel the next morning but with only her passport. Now we know Arua is also not bizimbe!